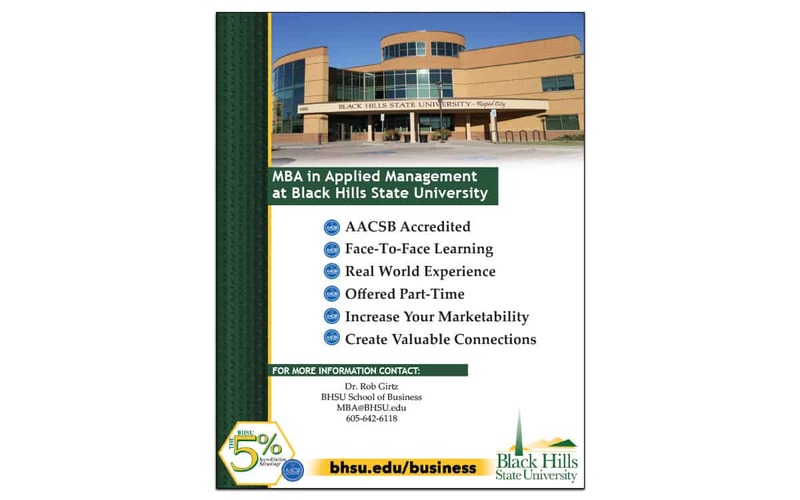 Midwest Marketing worked with Black Hills State University’s School of Business to brand their AACSB Accreditation, as well as to recruit new students to undergrad and graduate programs. 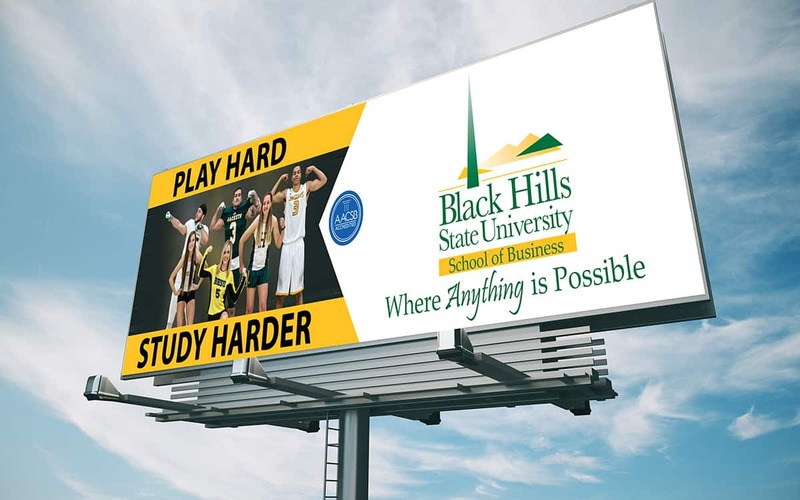 We also worked to create a secondary campaign focusing on athletics due to the large number of student athletes that are enrolled in the School of Business. Types of Work: Branding Development + Research, Focus Groups, Media + Digital Strategy, Audio + Video Production, Creative Services and Grassroots efforts.